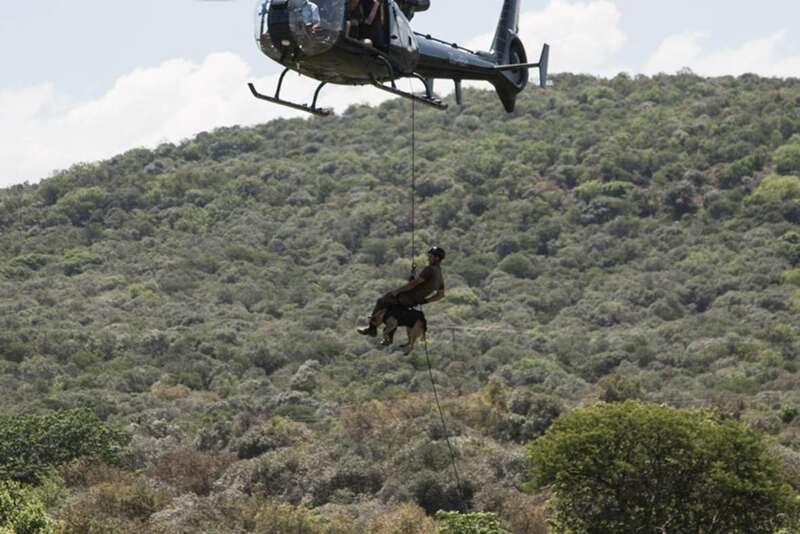 dogs are the perfect anti-poaching weapon. 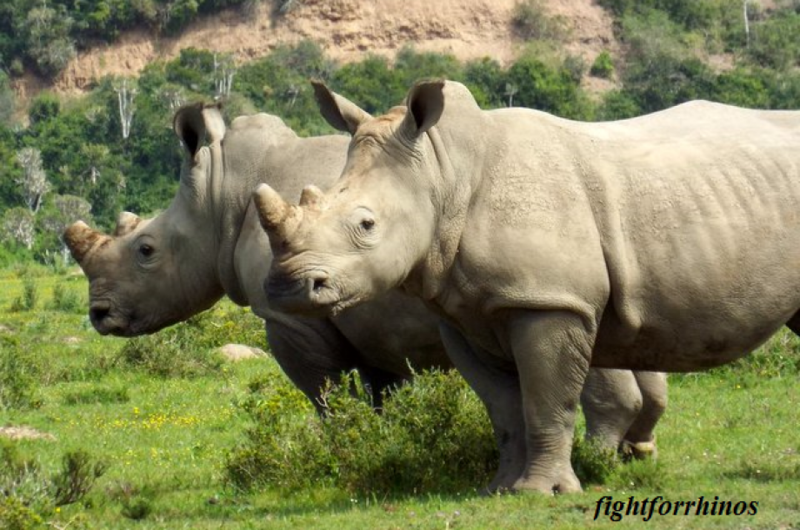 Like the superman of an anti-poaching team, they can work long hours through harsh conditions, picking up the trail of a poacher without hesitation. They can search a car in 3-4 minutes, while it can take an hour to search with humans alone. And they are relentless to reach their goal. 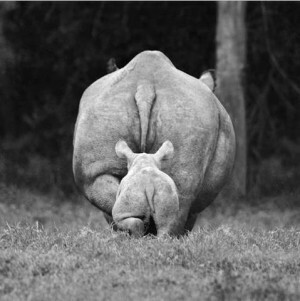 Utilized everywhere from Kruger National Park, the Congo, Kenya, and Zambia; they are trained to track poachers, to locate ivory and horn, and even to repel from helicopters. The most frequently used breeds are Bloodhounds, Weimaraner , Malinois, and Antaloian Shepherds. Dog selection is based partially on specific working conditions and most importantly on personality and demeanor. According to Megan Parker, from Working Dogs Conservation in Montana, “bad” dogs don’t make great pets, but their personalities are perfect for conservation work. The perfect example of this comes from a “bad” dog named Ruger. Found in an animal shelter and highly “unadoptable”, he has successfully been trained in anti-poaching work. 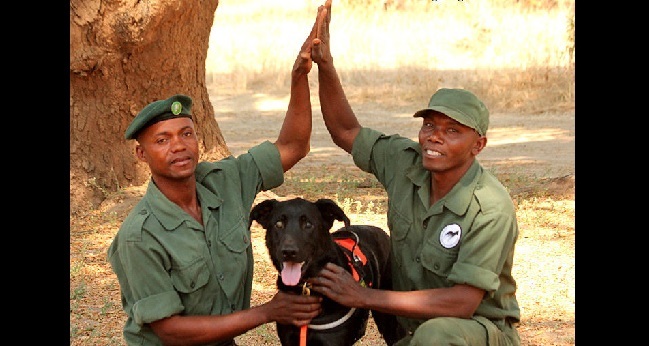 The first anti-poaching canine in Zambia, Ruger has put away 150 poachers to date. And all this work for what? A reward of a game of tug-o-war with his favorite chew toy. Ruger with the Delta Team in Zambia. Photo:unknown. 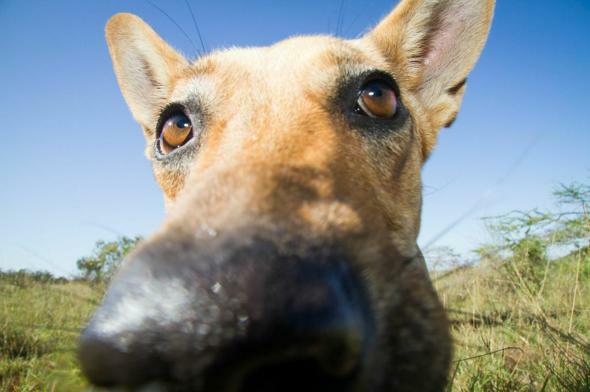 With all the perks of working with dogs, perhaps Damien Bell, director of Big Life Tanzania, sums it up best.